TRUST US, WE CAN HELP! Research Professional recently shared an article about how useful your Research Office can be and we couldn’t have said it better ourselves. We may not be researchers but the Research Office can be a real help when you are thinking about writing a bid – and not just because you need us to develop your budget and navigate the institutional approvals! FUNDERS We know them. If you have a research idea but you’re not sure which funder you stand the best chance of success with, we will help you explore the funders and get to the bottom of what it is they want to identify where your research best fits amongst them. FUNDING CALLS We read funding calls all day and we know what to look for when picking out key bits: where the emphasis lies and what the funder is really looking for in a proposal. If you’re not sure you are ticking the right boxes or would like some guidance on any particular scheme, we can help you with that. TIMESCALES Sometimes it can be a difficult thing to establish a timeline either for writing a research proposal or for carrying out the project itself. Your Research Development Manager can help you to think realistically about your goals and map out how much time you will ideally spend on each aspect of the proposal or project. LAY REVIEW Your Research Office can be a helpful place to get a lay person’s perspective on your proposal. When your project goes off to the funders for consideration, it is likely that those reviewing it aren’t going to be experts in your field. If your Research Development Manager is having a hard time grasping what your research is, then there’s a possibility that those reviewing it will too, and a project that isn’t easily understood is less likely to be funded than one that is. You can read the full article here, but the main point is that we are here to help every step of the way so make sure you get in touch so we can get started! 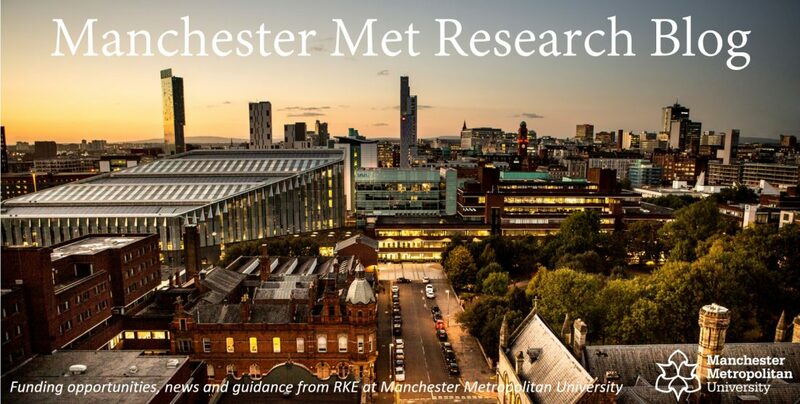 The Research Design Service North West will be holding an event on “Developing Funding Proposal in Applied Health and Social Care: First Grants”. Registration: Free via the Eventbrite page. The event is for health and social care researchers in the North West who are looking to develop and submit a funding application. This is aimed at less early career researchers, particularly those with little experience in applying for external funding. For more information and to book your place at the event please visit the RDS NW website. Remember the RDS Service are available to help with all medical related bids, not just those going to NIHR! Categories: Event | Tags: applied health, Event, Event; Health, Health, Health and Social Care, healthcare, NIHR RDS Website | Permalink. The British Academy have announced two more competitive research calls supported through the Global Challenges Research Fund with a deadline of 22 May 2019. As with all GCRF funded projects, activities must be ODA-eligible, focusing on addressing challenges faced by countries in receipt of Official Development Assistance. Urban Infrastructures of Well-Being – focusing on addressing the challenges of generating and maintaining well-being in the context of rapid urbanisation and infrastructure development. This call requires at least one researcher from the social sciences and humanities and one researcher from the engineering sciences. Heritage, Dignity and Violence – focusing on projects that will deepen the understanding of the relevance and importance of the historical context of development, culture(s) and heritage(s), in promoting sustainable peace and preventing violence. In both cases, PIs must be based in the UK, but collaborations are encouraged with partners in countries in receipt of Official Development Assistance, and applications are expected to demonstrate equitable international collaboration. Projects must be 21 months in duration, starting 9 September 2019, and the maximum size of project is £300,000. You can find out more about the calls via the links above, and if you are interested in applying please contact your Research Development Manager for support and guidance. Categories: Funding Opportunities, GCRF | Tags: British Academy, Dignity, GCRF, Heritage, urban, Violence | Permalink. The British Academy Small Grant scheme has opened its doors to a new round of applications today with a submission deadline of the 5th June. If you’re currently writing an application for this round, or thinking of writing one in the future, a recent article from Research Professional might offer some helpful insights. Alison Wray, a professor of language and communication at Cardiff University, talks about her experience of writing a successful application for the scheme and shares top tips and knowledge she picked up along the way.